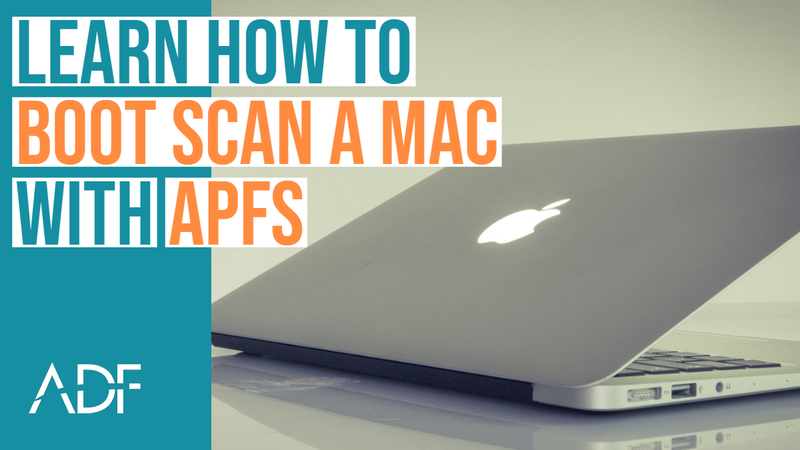 ADF offers the best digital forensic solution for getting relevant data from an Apple Mac laptop or desktop running APFS since it is easy to use and offers investigators a quick and easy way to collect and analyze evidence. 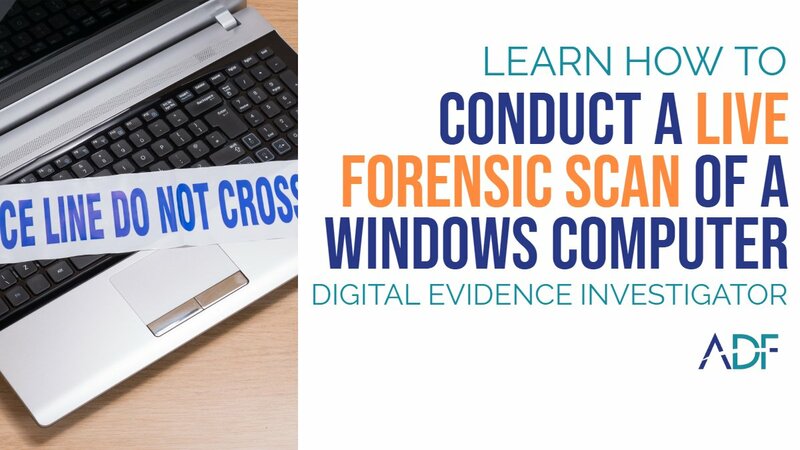 In this short 3-minute video, ADF's digital forensic specialist, Rich Frawley shows how to boot a MacBook Air (APFS, non-encrypted) with Digital Evidence Investigator. 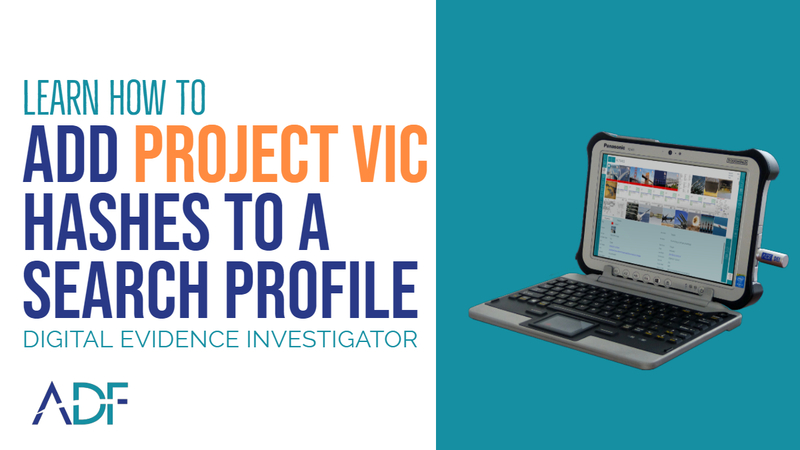 When investigating crimes against children cases, Project Vic data sets and Digital Evidence Investigator® (DEI) goes hand in hand. 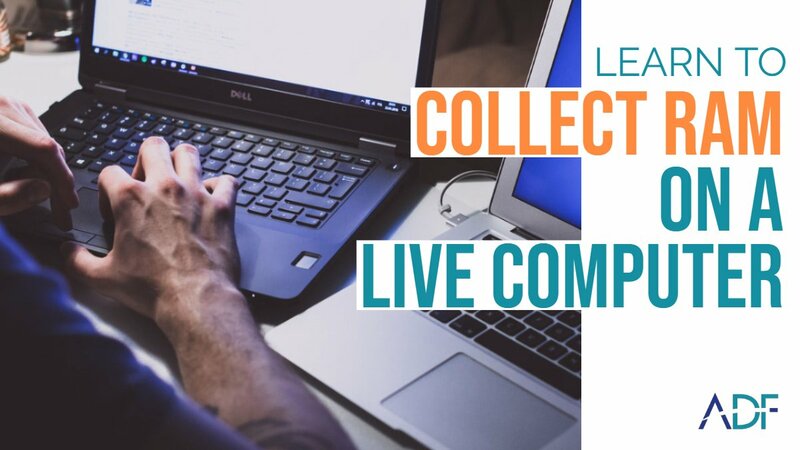 DEI gives investigators and examiners the ability to categorize image and video media fast -- which is paramount in the fight against child exploitation. Whether you are and ICAC, CAC, or affiliate task force DEI is the best tool to help you solve internet crimes against children. In this short 6-minute video, ADF's digital forensic trainer is going to show you how easy it is to add Project Vic datasets or hashes to a Search Profile. As a forensic investigator, there will come a time when you will come across the occasional computer that is difficult to get to the HDD and it may be encrypted by default, such as the Microsoft Surface Pro. 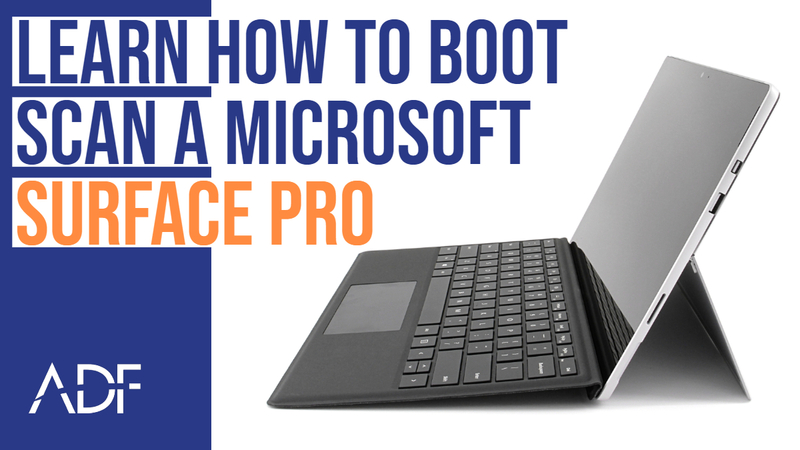 In this short video, you'll learn how to easily conduct a boot scan of a Microsoft Surface Pro with Bitlocker activated. 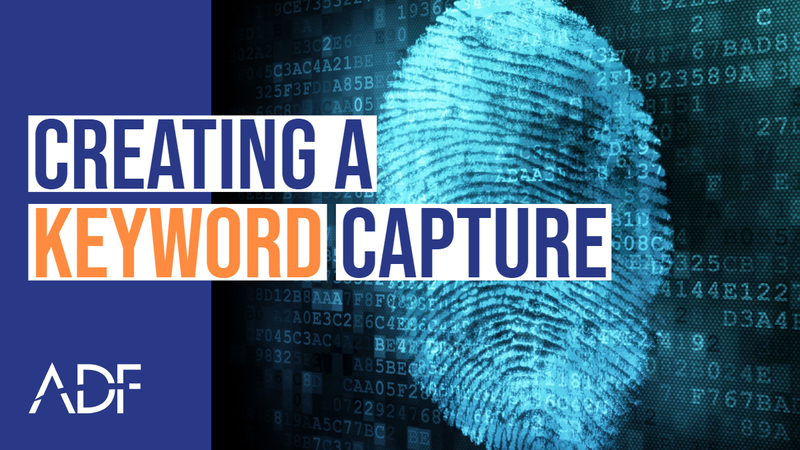 Whether you are preparing to go on-scene or you are in your digital forensic lab getting ready to perform triage or one or more digital forensic scans, this video tutorial will show you how you can easily create a keyword capture and add keywords to a Search Profile. We begin from when you have started to create a Custom Search Profile and want to add your own unique keywords. ADF software lets investigators and examiners search for files by keyword(s) using substrings or regular expressions. 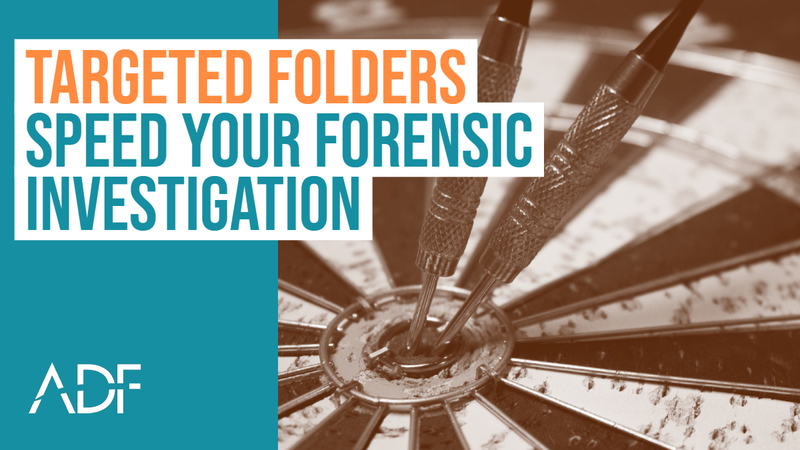 ADF software allows you to search for keywords in all file and folder names, file content and metadata, and artifact records from other captures. 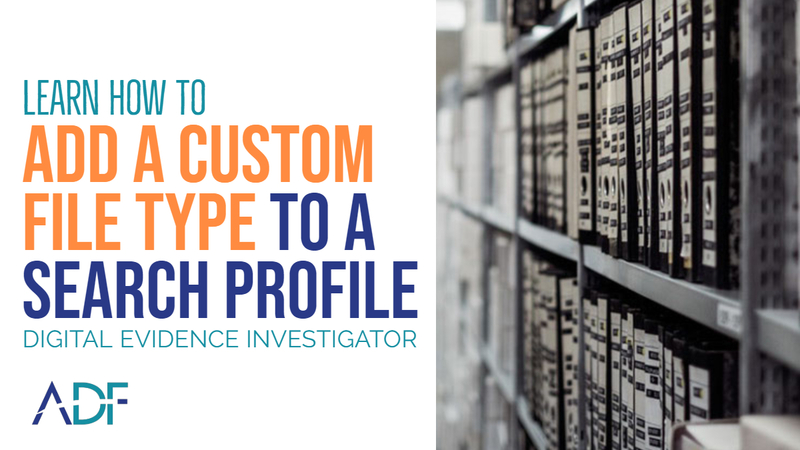 What is a Search Profile? 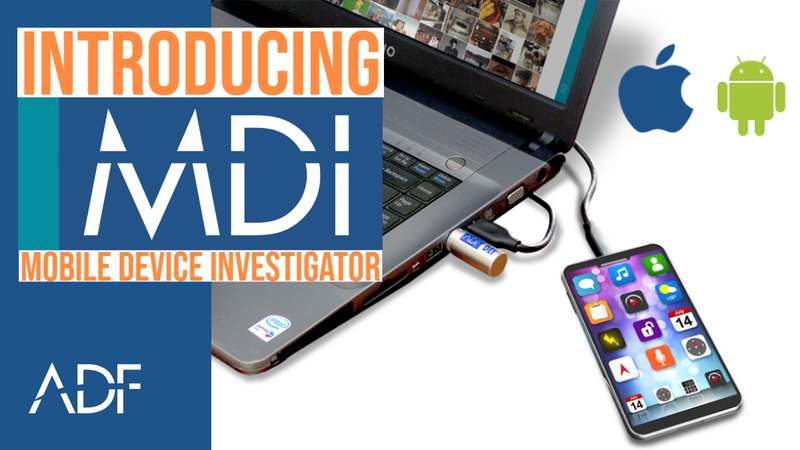 Digital Evidence Investigator® (DEI) and Triage-Investigator® come with out-of-the-box default Search Profiles. 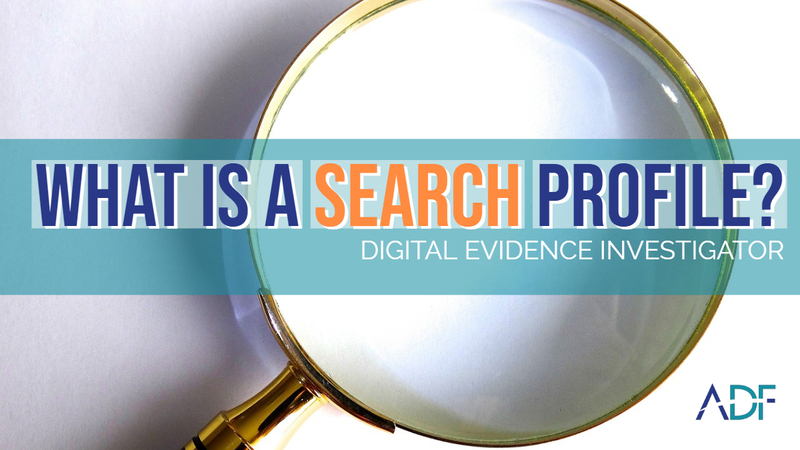 In this short video tutorial, we use Digital Evidence Investigator to demonstrate "What is a Search Profile?". In DEI the Search Profiles are maintained in the Setup Scans Menu option. The Search Profile, when run, will collect the information selected within the Search Profile. Search Profiles will run from the desktop application or from the collection key on a Live or Boot scan.